This topic covers how to configure the player end screens. 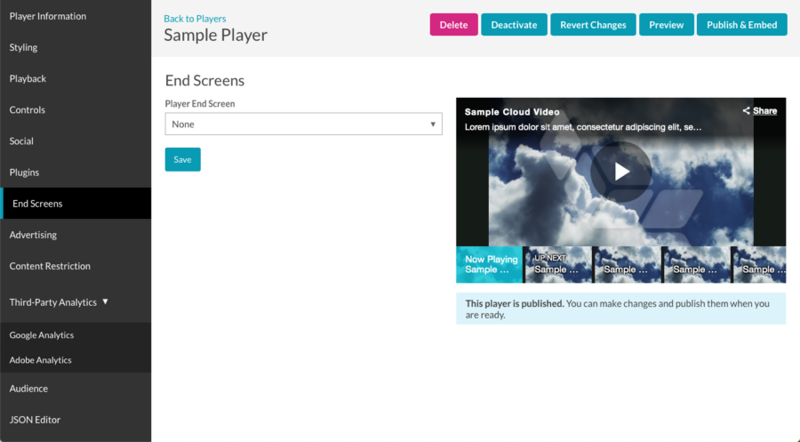 Players can be configured so that an end screen will be displayed when a video ends. The end screen can be configured to show the replay and sharing icons or can be customized to include HTML. A custom end screen is shown below. Icons are displayed to allow the viewer to replay the video or share the video out to popular social media sites. Click Players in the navigation header to open the Players module. Click the link for the player you want to configure. Click End Screens in the left navigation menu. Note: Any changes made to a player may take up to 5 minutes to appear in published players. When the Social option is selected, the social sharing dialog will display when the video ends. Social sharing for the player must be enabled to use the social sharing end screen. If the Social option is selected, social sharing will be enabled automatically. The social sharing options that are displayed are based upon what was configured as part of the social settings. For more information on social settings, see Configuring the Social Properties for a Player. 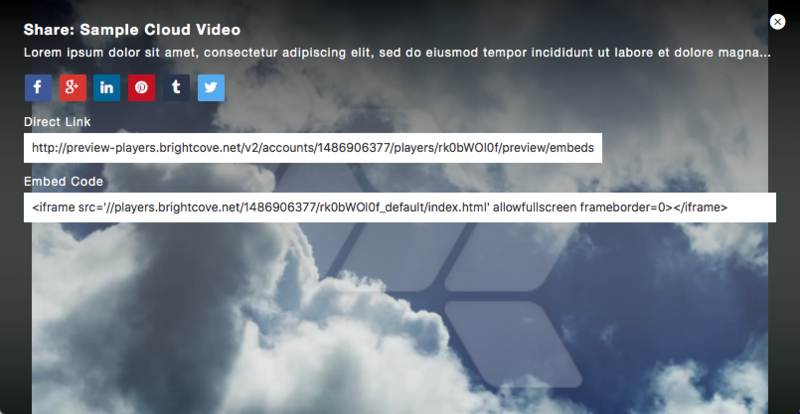 When the Custom option is selected, custom HTML can be used to display additional text or images above the replay and sharing icons. 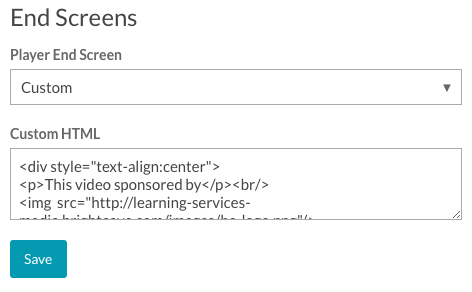 To configure a custom end screen, select Custom and paste in HTML to be displayed in the Custom HTML property. Note: Sharing must be enabled for the sharing icon to appear on the end screen. 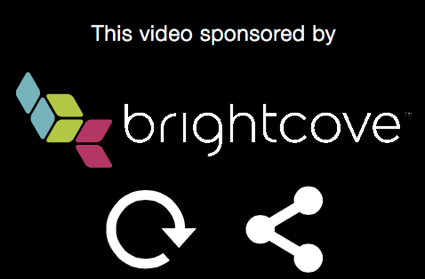 Note: If the Custom option is selected and no HTML is provided, the replay button will be displayed when the video ends.